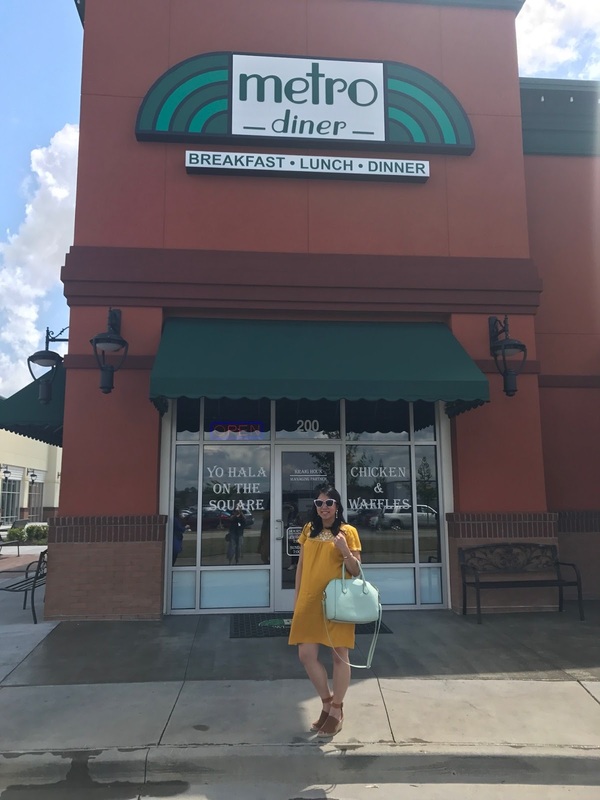 I was invited to try out the first Savannah area Metro Diner that opened at the Tanger Outlets in Pooler last week. 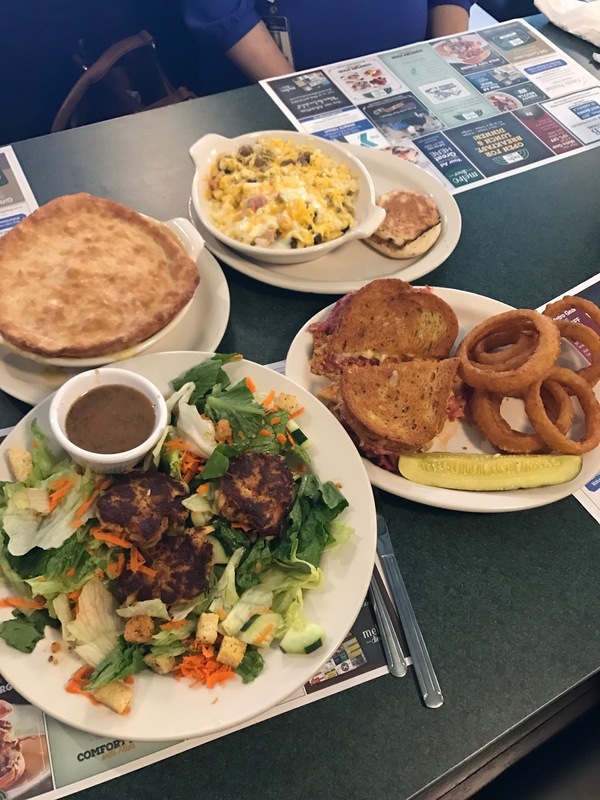 I love discovering new places to eat in the area so I was excited to dine there last Friday. 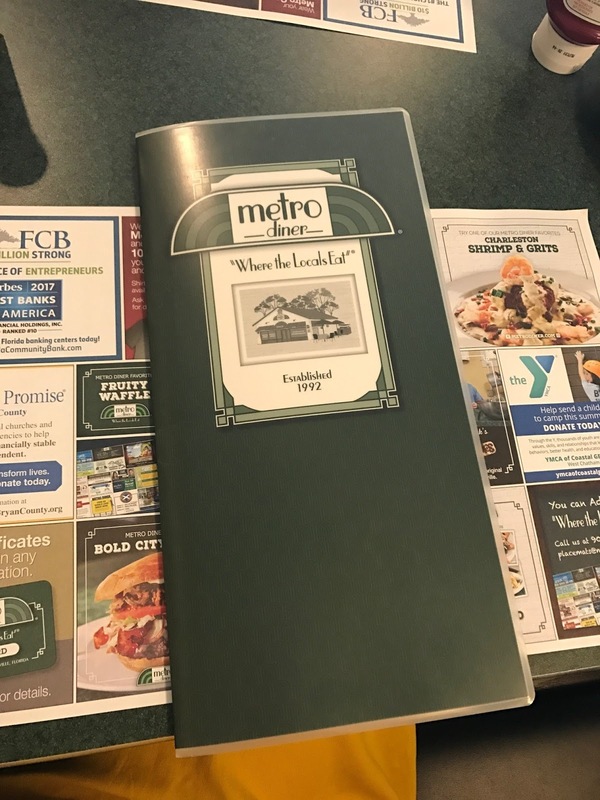 Metro Diner serves up a variety of menu items where they pride themselves on quality ingredients serving all-day breakfast, lunch and dinner. 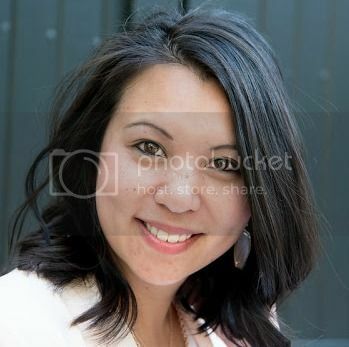 The menu has something to offer everyone and the prices are very reasonable. I opted for their Friday special- the crab cake salad. 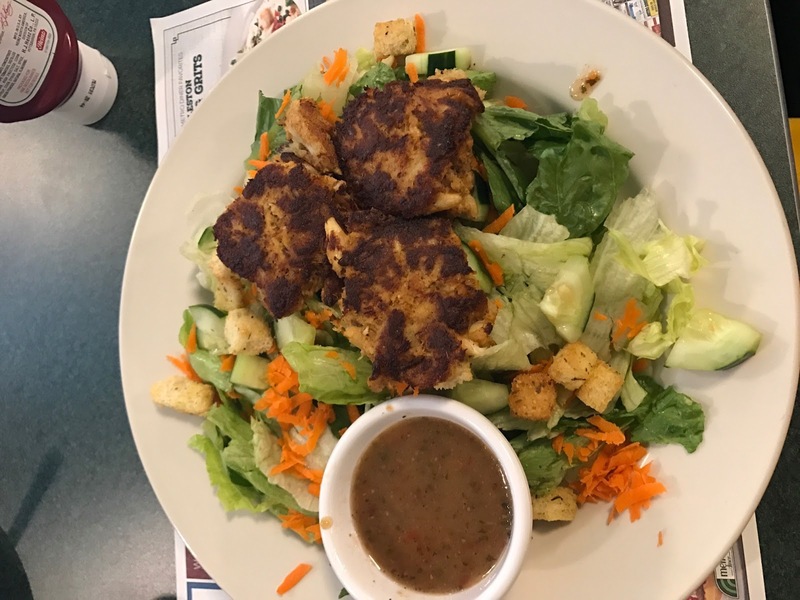 I love crab cakes and it sounded so yummy on top a garden salad. The portion size was great and for $10.99 it was a great value too! I invited my friends at work to join me for lunch and everyone found something they liked. The service there was great and everyone was very friendly. 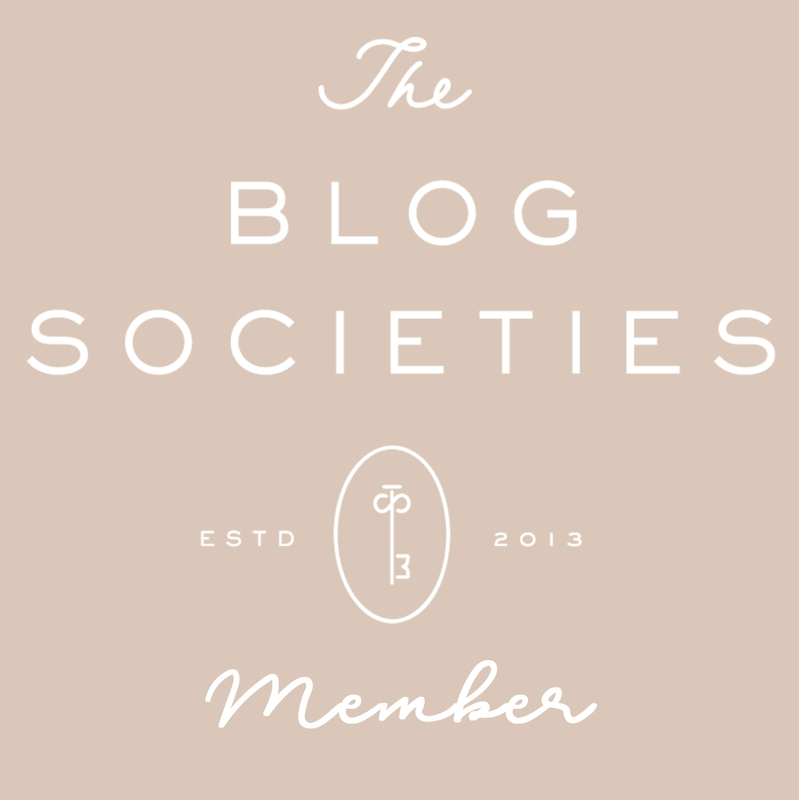 I cannot wait to try their breakfast menu out. They make a Belgium waffle with homemade strawberry butter and it sounds amazing! 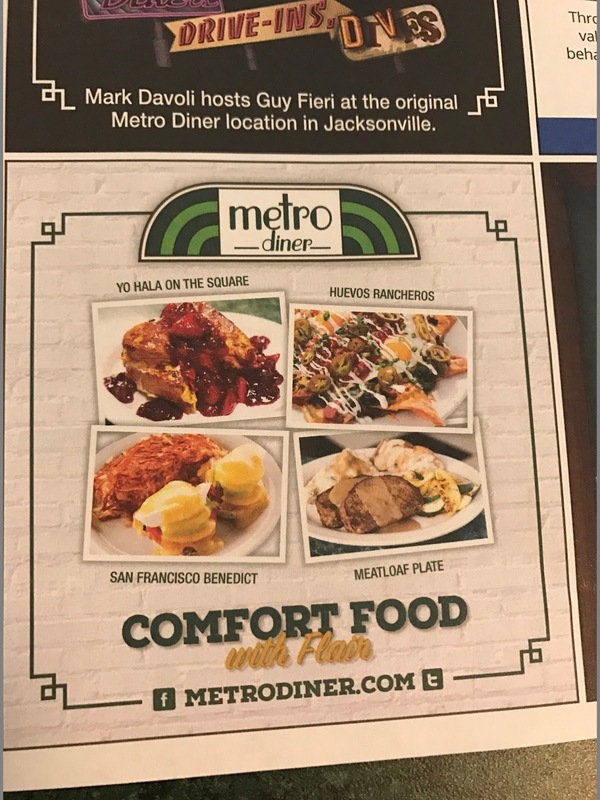 If you're in the Pooler area I recommend stopping by the Metro Diner to eat! This looks so good. I definitely want to go try out their breakfast.